WA Suspensions are excited to be involved with ‘XYZ’ coilover suspension brand. 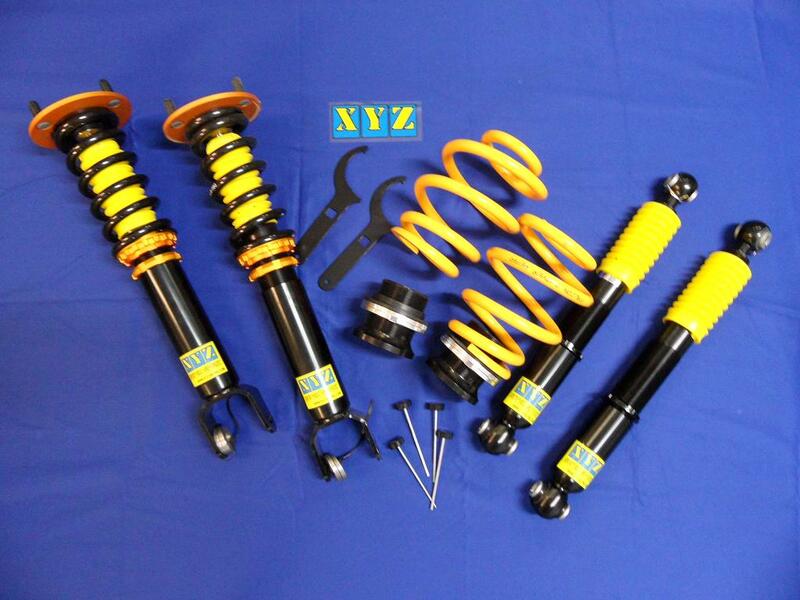 XYZ (est1998) is a leading Asian manufacturer and supplier of high-performance coilover suspension kits. Being a coilover kit it allows you to adjust the height and shock dampening to your ‘I want’ requirements. Only a few simple adjustments and your vehicle goes from street to track specifications. XYZ have coilover kits available for Australian, Asian, and some European vehicles. Our well-skilled mechanics have already fitted a few kits to vehicles that have been road tested and have received extremely positive feedback. Call WA Suspensions for a quote on a new ‘ XYZ ‘ kit (from $1650) or just a chat for some advice about what is best for your vehicle.